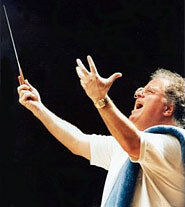 On this day in 1943, James Levine was born in Cincinnati, Ohio. Happy Birthday, Maestro! Hope to see you back on the podium soon. For a fitting tribute, check out this fantastic video from the National Endowment for the Arts.